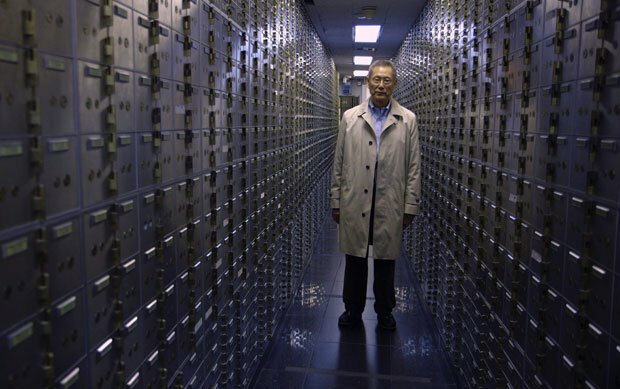 As a response to the 2008 financial crisis, Steve James's documentary is perfectly formed from its title down. While other films – including Curtis Hanson's 2011 TV doc Too Big to Fail – have focused on the bailout of the big banks responsible, James turns his attention to the single American institution that did not escape federal prosecution: New York City's Abacus Federal Savings Bank. A six-branch family-run bank serving the city's Chinese community, Abacus drew the attention of District Attorney Cyrus Vance Jr after the discovery that one of its loan officers was falsifying documents and taking bribes. Although the employee was fired, and the incident was reported by the bank itself, the DA didn't impose a proportionate fine; instead, it filed multiple fraud charges, which resulted in an exhaustive five-year case. Seasoned documentarian James (Hoop Dreams, The Interrupters) has a knack of exploring universal themes through specific experiences. This modern David and Goliath tale shines a light not only on the injustices heaped upon Abacus, but also the systematic targeting of marginalised immigrant communities by an establishment desperate to protect the status quo. Footage which shows bank employees handcuffed together and marched, chain-gang style, in front of reporters proves very difficult to watch. While jurors on the case – two of whom are interviewed here – were told by the judge not to make an example of Abacus, it's clear that the DA's office was doing just that. Political grandstanding is the obvious motivator – from the disproportionate resources Vance ploughed into the case, to retrospective interviews which demonstrate a palpable lack of humility, despite the final verdict. For the bank's founder Thomas Sung and his family, however, this was not about big picture politics. It was a fight to protect not only their honour and livelihood, but also the support they provide to a cloistered community with its own financial ecosystem. Their strength and determination is inspirational, a reminder of the power of the individual, even in the face of overwhelming odds. Limited release from Fri 7 Jul. Illuminating and inspiring documentary from Oscar nominee Steve James about the criminal fallout over the 2008 financial crisis. Seasoned documentarian James (Hoop Dreams, The Interrupters) has a knack of exploring universal themes through specific experiences.